James A. Serritella Partner Burke, Warren, MacKay & Serritella, P.C. James A. Serritella, a partner at Burke, Warren, MacKay & Serritella in Chicago, serves on the firm’s management committee and chairs its Religious and Not-for-Profit practice group. He focuses his practice on serving the legal needs of tax exempt religious and not-for-profit organizations and on managing overall client relationships. Mr. Serritella has represented many kinds of entities including associations, churches, dioceses, synods, religious orders and congregations, hospitals and other health care entities, colleges, elementary and secondary schools, seminaries, social services agencies and institutions, and cemeteries. Many of these entities are affiliated with or sponsored by a religious organization, while some are secular in nature. The religious organizations come from a variety of traditions. 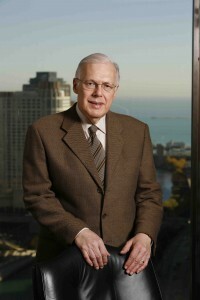 Mr. Serritella received his JD from the University of Chicago Law School in 1971. He earned an MA from the Committee for the Analysis of Ideas and Study of Methods at the University of Chicago. He has a BA from St. Charles Seminary College of Liberal Arts (State University of New York) and a second bachelor’s degree from the Pontifical Gregorian University in Rome. He received mediation training from the National Health Lawyers Association; and received advanced mediation training from the CPR International Institute for Conflict Prevention and Resolution, the Program on Negotiation at Harvard University, and the Center for Dispute Settlement. Mr. Serritella has served on numerous civic boards and now serves on the Board of Directors of Music of the Baroque, a Chicago performing arts group that promotes appreciation for classical music.